Three from Kickstarter this week with the first being "RPG and Wargaming Tabletop Accessories" by Kevin Rau (Author of H.E.R.O. novels) here. 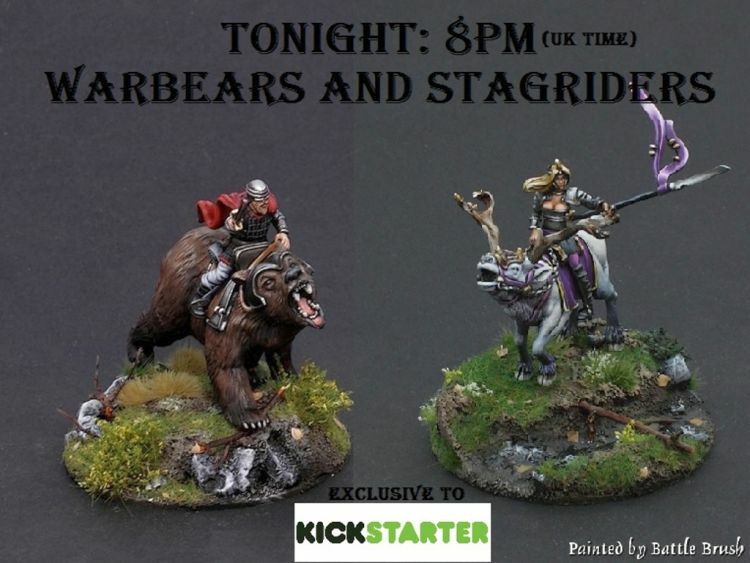 Also, have a look at "Warbears and Stagriders, Fantasy Wargames Miniatures" by Mike and Rich Chappell here. Finally, check out "Wolfstar Heroes" by Matt White of Oi! Monster here.